Pecan Grove Training Center “A legacy of care and support”. Pecan Grove Training Center has been a part of the community since 1977. We operate as an ICF/DD (Intermediate Care Facility for persons diagnosed with developmental disabilities). For more than 40 years Pecan Grove Training Center has offered a warm safe environment for physically and mentally challenged individuals to grow, learn and succeed. We provide training and encouragement to help develop independence as well as medical care, specialized therapies, nutritional care and community involvement. Respect for individuality always has been a part of the Pecan Grove Training Center legacy. A key to our success is the attention given to developing programs that meet the specific needs of each person. At every step along the way, the individual is treated with love, respect and dignity. We envision a world where an individual has opportunities and supports that promote self-determination, the joy of achievement, and a fulfilling life. Pecan Grove Training Center supports children and adults with disabilities or challenges to achieve their highest potential and independence through innovative and individualized approaches that promote learning and personal fulfillment. The well-being of the individuals we serve and our employees is our highest priority. We are diligent about promoting a just culture of transparency and accountability that identifies, mitigates, and effectively manages risks. We acknowledge and value the dignity of all human beings and value our relationships with one another. This is evident in our relationships with our clients, their families, our employees and other stakeholders; our environments; the way in which we deliver services; and the manner in which we conduct business. We are committed to compassionate care, ethical practices, effective and honest communication, collaborative relationships, and the highest standards of integrity. Our commitment to excellence and achieving exceptional outcomes is reflected in our efforts to adopt state-of-the-art, evidence-based, and cutting-edge practices. Toward this end, we value new ideas, scientific and technological advancements, partnerships with Centers of Excellence, and collaborations with Institutions of Higher Learning. We are committed to being a high-performance organization, an employer and provider of choice, and a recognized leader in the field of human services. "Parents of children with disabilities face tough decisions with school placement. As these children grow to be young adults, even harder choices must be made. Our son is a resident of The Peach House, a part of Pecan Grove Training Center. We have found a staff of workers that are caring, interactive, supporting, and patient with all clients. In addition, their home is located in a family oriented neighborhood. The home is nicely furnished and maintained by staff with client help." Our commitment to advocating for the welfare of the individuals we serve is in keeping with the tradition of Pecan Grove Training Center. We proactively take action to protect and advance the best interest of the individuals we serve through our active engagement in our communities, and by influencing policies and decisions made at the local, state, and federal level. 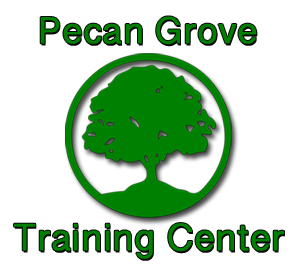 Pecan Grove Training Center is a home that embraces positive change. We have the resolve to advocate for the best interests of our clients and the openness to pursue opportunities that advance our vision, mission, and values.